Please see the calendar below for days with all-night skiing. 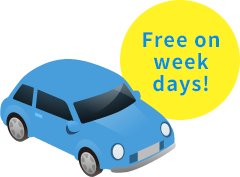 * The weekend and public holiday price applies for the period from December 29 to January 3. * Even during the open season, Yeti may be closed due to weather, poor conditions, etc. 3:30 p.m. – 8:00 a.m.
* Even during the open season, Yeti may be closed or the hours may be shortened due to weather, poor conditions, etc. * An admission ticket is required to use the slopes. 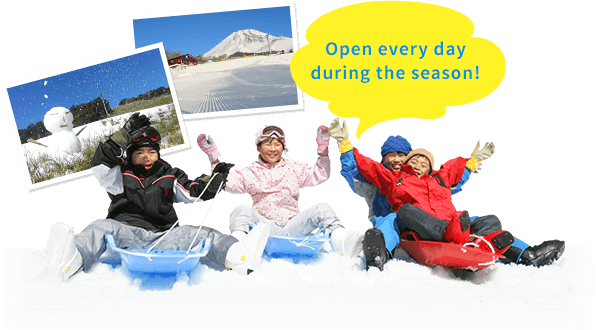 * Skiers and snowboarders should purchase a One-day Ticket (or a Night Skiing Ticket for the night skiing time period). * Please purchase an Admission Ticket if you are going to sled, play in the snow, or watch. You cannot bring in or rent skis or snowboards with an Admission Ticket. * The One-day Ticket is valid until 10:00 p.m. on the same day. * Night Skiing Tickets are valid from 3:30 p.m. On days with all-night skiing you can ski or snowboard until 8:00 a.m. the next morning. * Children are from age three to elementary school children. Seniors are age 60 or older (ID required). 2018-2019 Yeti. All Rights Reserved.